We are graduates in the field of environmental studies, and have a passion for contributing to a sustainable food system. We feel that the source of our food is a powerful concept, and we can control many of our impacts, both positive and negative, on every scale by choosing to eat wisely. We hope you will join us in making this choice. Roxanne was raised in the Berkeley hills, and grew to have a deep love of 'community.' She studied city planning and worked at a non-profit farm in Petaluma, California, which provided free or low-cost produce to low-income families, as well as nutrition education. She understands the strength of the link between food and community, as well as the mechanisms behind planning for a healthier population. 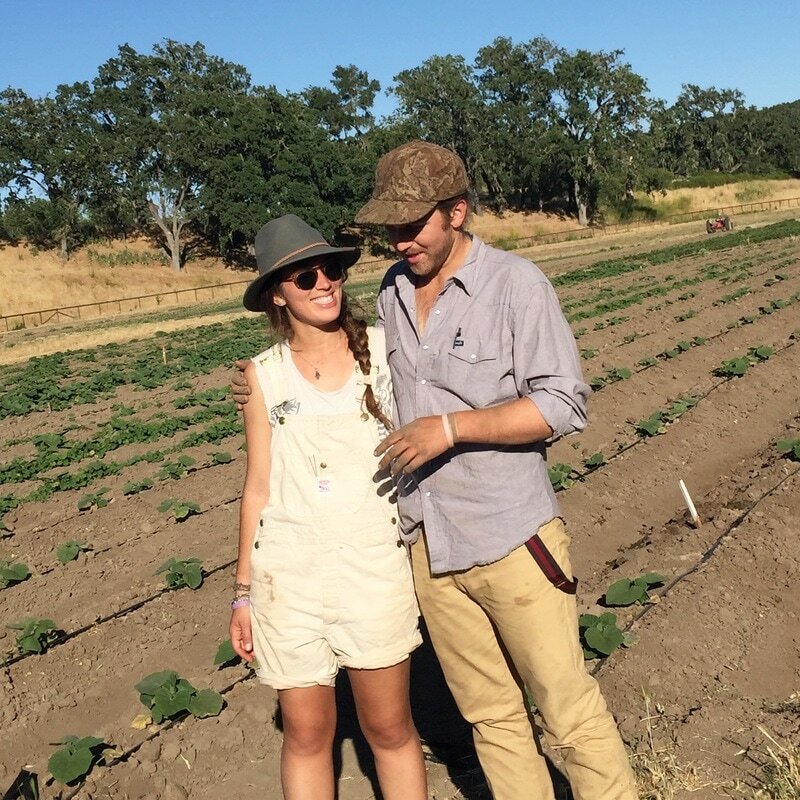 She would like to tap into our local potential and move toward a San Luis Obispo county with more diverse, nutritious, and delicious agricultural products. 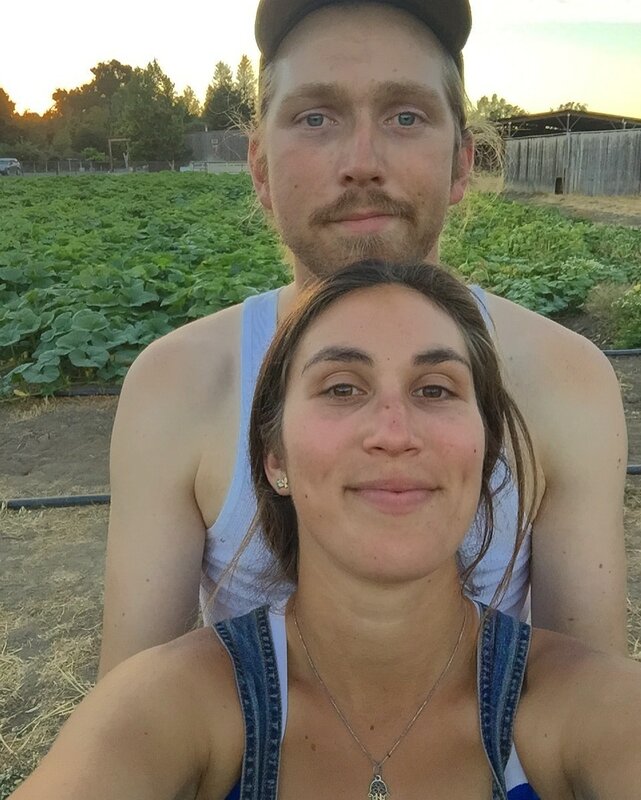 Brandon grew up in an agricultural family, with a certified grapevine nursery in the Central Valley, as well as raising cattle, bison, sheep, and fallow deer. After his involvement in conventional agriculture, he aspired to move toward a more sustainable way of growing and decided to study conservation biology and restoration ecology, in order to assess the impacts he has on his environment as a farmer. This was inspired by a respect for the farming methods of his great grandparents, as well as the simple lives they led. While at school, he and some peers began an agricultural co-op for students which sold food, grown in students' market gardens, to the university cafeteria, lowering its reliance on imported and industrial produce.